This post was partly drafted well before Sunday and was due to be published on Monday, but, alas, a bug called "The Flu" came in swiftly, ravaging our family, taking out every man, woman, and child in our home! I am asking you to pretend that today is Monday. The official Pregnancy/Infant Loss Awareness Day. Today is about Violet's Quilt. 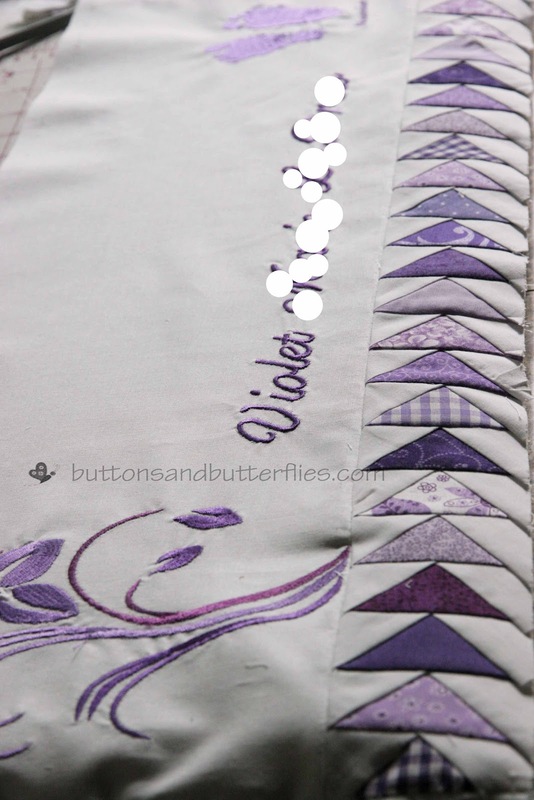 One of my Butterfly Kisses Quilts. 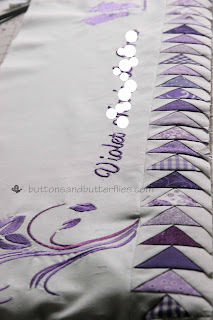 The one where I played with purple/violet flying geese and designed a violet embroidery design. I never got a chance to post the finished project because I was over anxious to get it in the mail and to her mom. Luckily, her mom took one for me! I cringe when I see this photo because it is all wrinkled and wonky. I swear it wasn't before I sent it! I guess I need to wrap things like that better? At least I hope it straightened out for Devany since the day she pulled it out in that photo!! Who's Devany? Devany is Violet's mom, and is a blogger over at Still Playing At School. We found each other through the vastly growing "babyloss" online community. Devany also happens to be a Scentsy consultant. She, apparently, was so appreciative that she decided she was going to run a 2 week online fundraiser for Butterfly Kisses. Any orders that she receives will be shipped out directly to the customer, anywhere in the country (sometimes the world). ALL of her commission from this "party" will come to Butterfly Kisses! She wouldn't take no for an answer from me. You may or may not know, that I do my Butterfly Kisses embroidery at no charge. I am trying to keep it that way, but with shipping it gets to be a bit much sometimes if "traffic" is busy or items are large! I sometimes receive small donations, and I ABSOLUTELY appreciate it. As many of my quilt followers know, however, things are not so cheap these days. 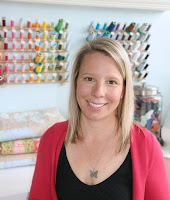 My costs sometimes lie in the threads and fabric depending on if I am using my already established supplies or not. However, the real costs lie in the stabilizer I have to buy for my embroidery machine and the shipping. 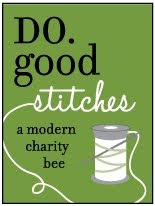 Occasionally, I also donate an entire quilt if I feel that it is necessary. 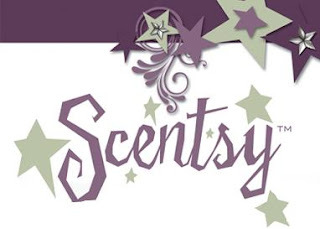 If you are interested in buying something like a warmer, hand soap, bath tablets, drawer scent packs...you name it... please go check out Devany's Scentsy Website. It would be sincerely appreciated. When you are ready to buy, you just click on the left side that says "Buy From Party". She has a designated a Butterfly Kisses Party that you can order from. Thank you Devany for doing this for me. I don't deserve it! I think you do. And so does she. What a lovely mama! Both of you.